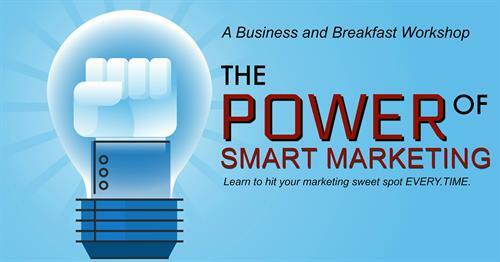 Business & Breakfast: "The Power of Smart Marketing"
Name: Business & Breakfast: "The Power of Smart Marketing"
Learn to Hit Your Marketing Sweet Spot EVERY. TIME. When today’s market is moving faster and more ever-changing than any other time in history, makes marketing seem like a game of chance than a sound investment. There are thousands of ways to market your business, innumerable products, and just as many companies with plenty of promises. AND you have to ensure your marketing attracts the right kind of client and brings in more sales. There’s Good News! Marketing doesn’t have to be complicated or cost you thousands! How to retain customers for 2-3x longer than you do today….